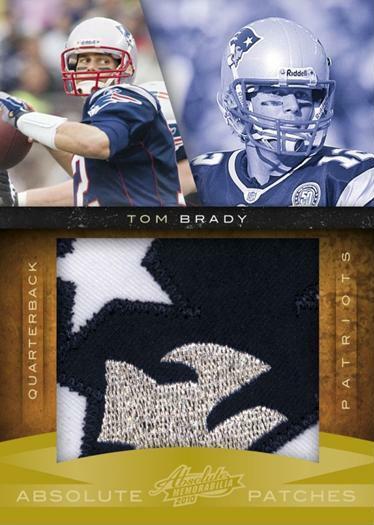 Good: Very high quality jersey patches, rookies galore, reasonable potential for multiple high end hits per box. Bad: Design, limited autograph inclusion, high dollar price tag. 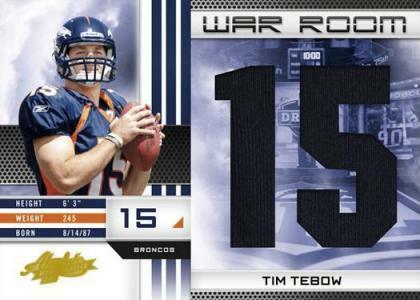 The Bottom Line: The visual appeal of the design has taken a few steps back since the days of Donruss (just like every other Panini product has), but at its core 2010 Absolute Memorabilia Football still remains true to form, boasting fantastic multi-colored memorabilia patches and their always popular trademark Rookie Premiere Materials inserts. Absolute Memorabilia is yet another example of how Panini has butchered the designs of Donruss' products since they started running the show last year. I wouldn't go as far as to say the design is bad, but it certainly isn't good either. 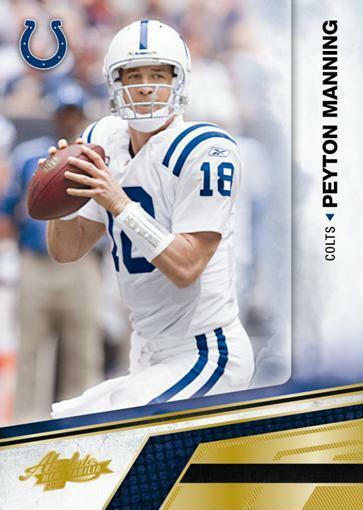 Its really a shame too, because the 2008 Absolute set was so great looking that it is downright baffling as to why they would deviate from the design fundamentals that in my opinion made Donruss' 2008 overall product line the best looking in the industry. Just as in years past you can expect a heavy emphasis on rookies. Additionally there are plenty of appealing veteran autographs and patches to keep your eye out for, which adds another element of excitement to it. At $140 or less per box, I would rate this as a pretty strong value. There are so many big hits in this product that striking gold and pulling one or two really cool hits is not at all unusual. 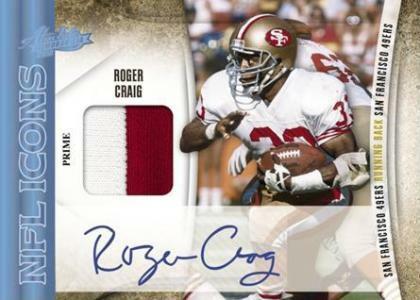 I have my doubts about the long term collectibility and value of memorabilia patch cards, so wouldn't by any means recommend approaching Absolute with a long term investment mentality. However they are in high demand and can fetch some serious cash on the open market for the time being. Absolute is always a fun product to break. With 4 mini-box/packs per hobby box, and a host of appetizing possible pulls, you get the boom-or-bust excitement without much chance that you will truly end up on the bust side of the equation. 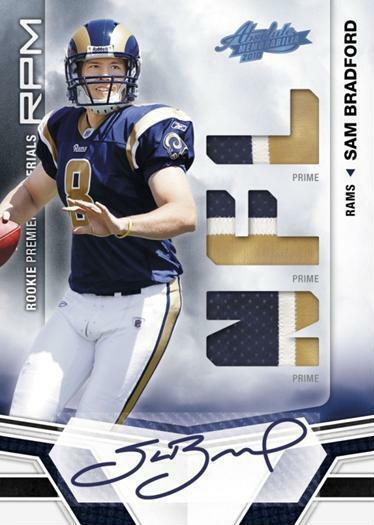 2010 Absolute Memorabilia returns with a rich crop of relics, auto's, and rookie premiere materials. Absolute is one Football's strongest products on a yearly basis and from the looks of it, 2010 is no different. The great thing about Absolute is that it cuts straight to the "hits", meaning that you won't end up with a stack of "meaningless" base cards. 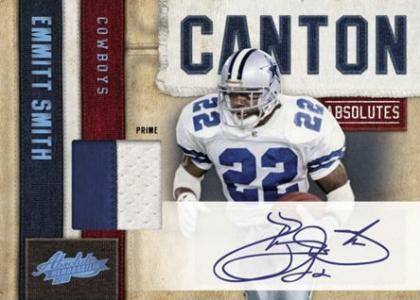 If too many base cards overwhelm you and you enjoy products that capture a dash of the past with the present, Absolute Memorabilia might be something to look into. Every Auto numbered to 299 or less! Every Memorabilia card numbered to 100 or less! Autographs and Memorabilia from past legends Dan Marino, John Elway, Joe Montana, Emmitt Smith, Jerry Rice, and more! Autographs and Memorabilia from active legends Brett Favre, Peyton Manning, Adrian Peterson, Chris Johnson, Drew Brees, Tony Romo, Larry Fitzgerald, and more! Autographs and Memorabilia from possible future legends Sam Bradford, Tim Tebow, Dez Bryant, Jimmy Clausen, Colt McCoy, and more! Very nice and large multi-colored patches! At least one hit per pack and one RPM numbered rookie patch auto per box.